All tours depart from the Kihei Boat Ramp. 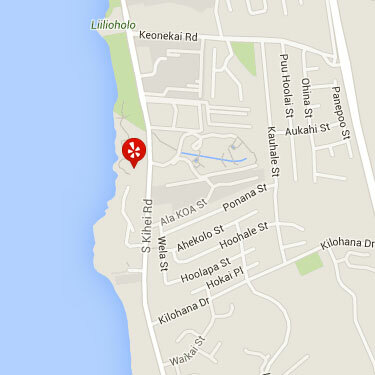 The Kihei Boat Ramp is located directly across the street from the Maui Kamaole Condominiums at 2777 S. Kihei Rd. On the ocean side, look for a big parking lot, a boat ramp and a couple of docks. Click HERE for aerial view. IMPORTANT: Please park in the upper parking lots closest to S. Kihei Rd. Parking is free. The lower parking lot is for trucks and trailers ONLY! Maalaea, Lahaina, Kaanapali, Kapalua: Passengers arriving from points north should take Route 30 to the Route 310 junction. Continue on Route 310 until you reach mile marker 9. Turn right on Keonekai Rd. and continue down to the stop sign. At the stop sign, turn left on to South Kihei Rd. The entrance to the ramp is 2/10 of a mile south and is well marked with a sign. 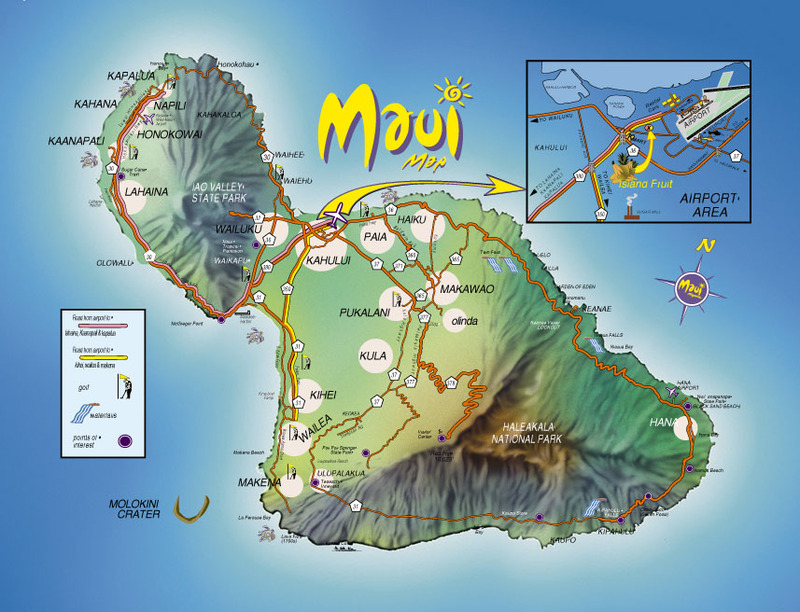 Kahului: Take the Mokulele Hwy 311 which automatically merges to the left onto the Piilani Hwy 310. Continue on Route 310 until you reach mile marker 9. Turn right on Keonekai Rd. and continue down to the stop sign. At the stop sign, turn left on to South Kihei Rd. The entrance to the ramp is 2/10 of a mile south and is well marked with a sign. Kihei: Get on South Kihei Road and go south (the ocean is on your right). Continue through the business district until there are only condominiums on your left. 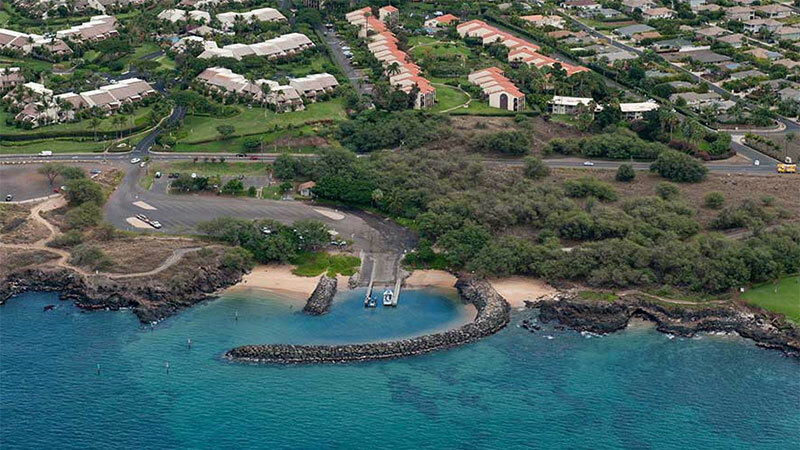 The Kihei Boat Ramp is immediately across the street from the Maui Kamaole Condominiums at 2777 South Kihei Road. The entrance to the ramp is well marked with a sign. Wailea / Makena: From the Wailea/Makena hotels and condos, it will take anywhere from 5 to 15 minutes to reach the Kihei Boat Ramp. Get on Wailea Alanui Dr. and continue straight as you pass through the stop lights at the Shops at Wailea. Keep going straight until the next stop sign. Make a left turn at the stop sign on to Okolani Dr. The Kihei Boat Ramp is approximately 1 mile past the turn. Okolani Dr., will veer to the right as it approaches the ocean and turn into South Kihei Rd. Continue past houses, restaurants and condos until you reach what appears to be a vacant lot. The next driveway on the left is the entrance to the Kihei Boat Ramp.